Take great delight in staying in an ample two-room apartment with a queen size bed, top-quality textiles and distinctive interior & design. 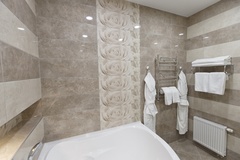 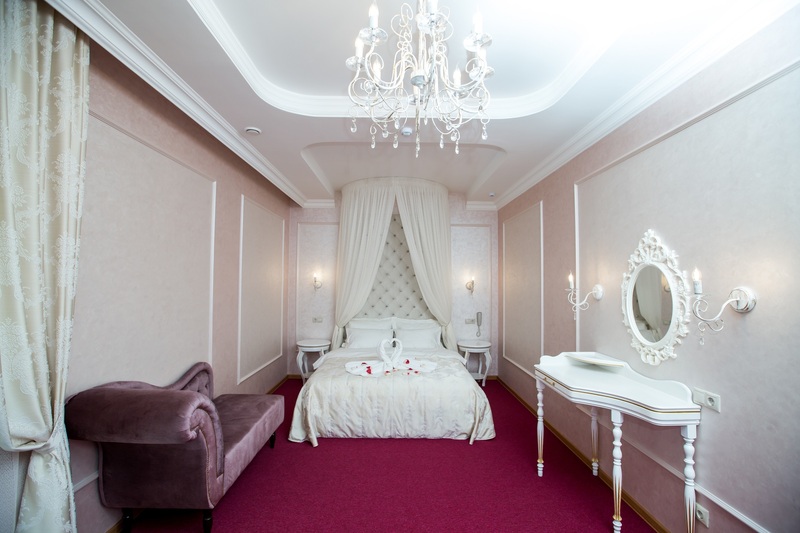 Romantic room is intended for people who set a high value on delicacy and space. 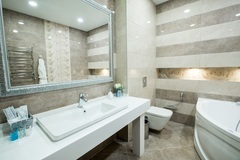 Room area – 57 m2. 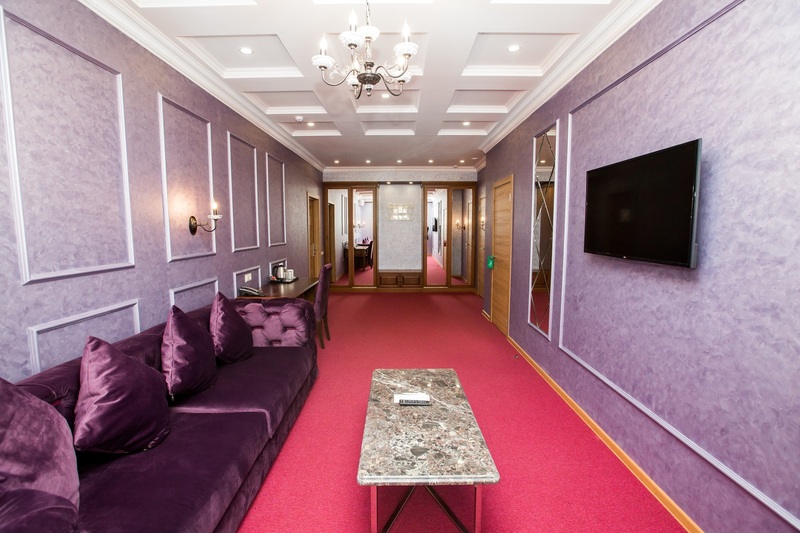 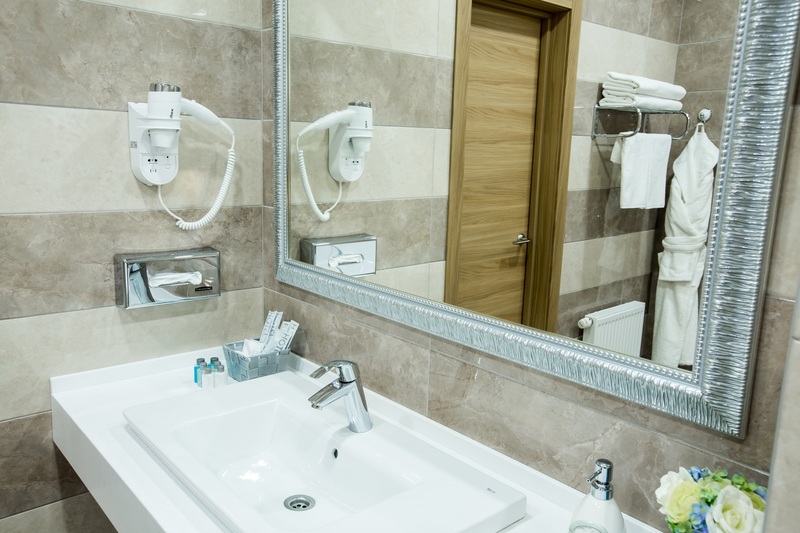 There are free Internet access and a safe, a fridge, an air conditioning unit, a phone, satellite TV, a mini-bar, a hospitality tray, a big circular bath, a hairdryer, slippers and a bathrobe, a miniature fragrance collection in the room. 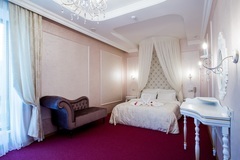 This room is perfect for just-married couples and dates where you can feel an inviting romantic atmosphere. 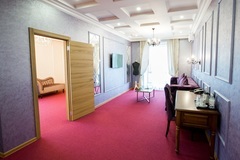 Room rate is from 9000 rub/per day/per person.